2017 MARKS the 10th anniversary of the Liqui-Moly Bathurst 12 Hour returning as a staple of the Australian Motor Sport landscape way back in 2007. What started as a race for Production vehicles, run on the Easter long weekend, has evolved into one of the world’s top GT3 races and a ‘must win’ for major brands, teams and drivers from all corners of the world. However the race also stands out as a firm favorite of motor racing fans from both Australia and Overseas – those who have attended the race and the diehard supporters who spend all night watching the live stream in the USA or Europe. 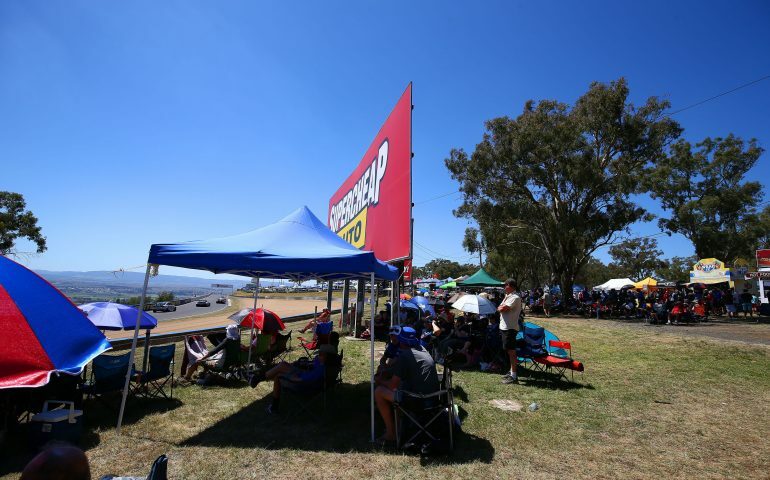 To celebrate the anniversary and the 10 great races that have been held in that period, we asked some of the most passionate B12hr supporters on the Shakedown Racing Forum to give us their best memories of the 12hr over the years. Due to the number of comments, we were unable to include them all – but here’s a selection of what they had to say. Thanks to the fans for their incredible support of the race! Watching Shane Van Gisbergen going bananas across the top of the mountain and putting a McLaren in places most of us wouldn’t put a shopping trolley against Bernd Schneider & Mika Salo in 2014 racing hard in GT3 machinery in between trying to get around Fiats! It was then I realised just how great this race was. 2013 was my first year at the 12hr. I had been following GT racing for a couple of years but living in Perth I had never seen one in person. A mate was travelling Australia at the time that the 12hr was on and it looked like we could manage to meet up there so we made it happen. Last minute flights and one suitcase which not only had my clothes for a week but a tent and sleeping bag included and I was on my way. Friday came, we were woken from our camp-site behind the pits by the sounds of engines being warmed up for a days work. I don’t think there is a better alarm! By the time it came for practice one, we had placed ourselves on the outside of turn one, looking up mountain straight. The engines were fired up, you could hear them all revving getting ready to go out. Then it happened, my most memorable part of the weekend. Craig Baird was the first one out of the pits. As he guided the chrome Clearwater Ferrari 458 onto mountain straight for the first time, he weaved to the right then to the left as he pulled back to the centre of the road he planted it. The shriek of the Ferrari V8 let out as it squatted down and took off up the mountain. This years race will be our seventh B12H. My son and I have made it an annual pilgrimage to the mountain, since 2011. As I’m not a great touring car fan, I’d never had any interest in going to the 1000, but when the GT3’s became the main event, we were there with bells on. It has become, not only a brilliant Australian race, but now a really world class event. Each year the race has improved out of sight. Which, begs the question! How do you go about improving the 2018 race? 2017 hasn’t been run yet, but what a star studded field, in both cars and drivers! Every year the access to the drivers and cars from behind the garages is something special and very personal. On the Wednesday and Thursday the drivers actually look for some interaction with the fans to pass some time and the majority of them are just great people. You can read the full comment thread here, and perhaps contribute your own #B12hr memory!